Admirals Cove is a luxurious golf neighborhood located off Alt A1A in Jupiter, Florida. While the main draw to many are the beautiful golf courses, residents also enjoy living on 5 miles of waterways that lead directly to the ocean. With over 900 homes in Admirals Cove, a buyer has many choices when it comes to style and price. Homes range from sprawling water-front estates to well appointed inland condos. Admirals Cove has its own marina that can hold up to 72 boats. 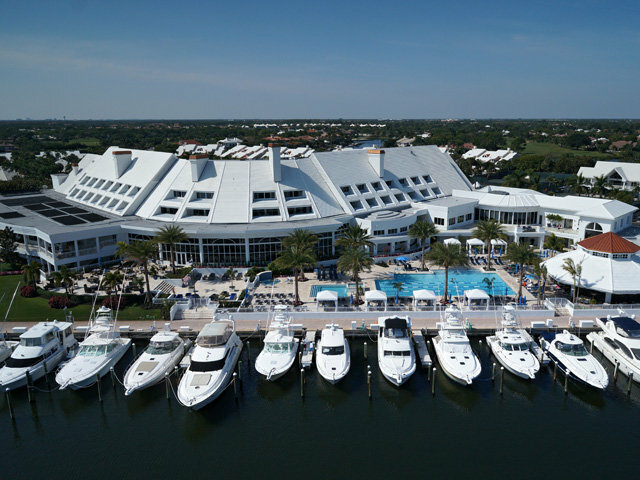 Residents enjoy an active lifestyle by yachting, playing golf and tennis, using the fitness center and enjoying activities at the 22,000 square foot waterfront clubhouse. Admirals Cove is a wonderful place to raise a family! The Club at Admirals Cove has dedicated Youth Entertainment Services that provide camps, seasonal activities and even babysitting. Interested in Admirals Cove? Contact us online, call 561-491-2381 or Email - Team@SimmondsTeam.com to learn more about available listings or book a private showing. Contact us to learn more about selling your home with the Simmonds Realty Team.